There are three primary types of K of visas available for foreign national fiancés and their children: K-1/”fiancé” visas, K-2 visas and K-3 visas. The K-1 visa allows foreign national fiancé to temporarily enter the U.S. in order to marry their petitioning, U.S. citizen fiancé. K-2 visas allow foreign national fiancés to bring their children with them into the U.S. However, both K-1 and K-2 visas have very specific requirements and guidelines. K-1 visa holders must enter the U.S. within six months and marry their petitioning U.S. citizen within 90 days. Any K-1 visa holder who wishes to marry a different U.S. citizen after arriving in the U.S., must return to their original country of origin to re-start the application process. K-2 visas are for unmarried children under the age of 21. Due to the complex nature of the filing requirements and restrictions, it is highly advised to use an experienced immigration lawyer. K-3 are awarded to spouses. To learn more about the different types of K visas and their requirements, please review this informational page. K-1, K-2 and K-3 visas have specific filing procedures and requirements. Although this information is provided by USCIS, engaged couples who wish to obtain a K visa should consider working with a licensed fiancé visa lawyer. 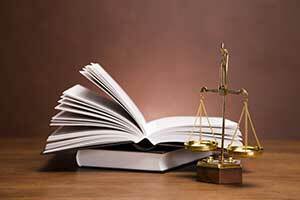 A qualified immigration lawyer will ensure a timely and error-free filing process. Marriages between a U.S. citizen and their foreign national fiancé require a special type of visa. The K-1 visa, or “fiancé visa,” allows a foreign national fiancé to enter the U.S. with a temporary visa in order to marry their US citizen fiancé. The K-1 visa filing process has multiple steps and different guidelines. Learn more about the visa requirements for K-1 visas, here: K-1 Visas. A K-2 visa is almost identical to a K-1 visa, but with one major difference. The K-2 visa applies only to children of a foreign fiancé. That is, the K-2 visa allows a foreign national fiancé to legally bring their children with them into the U.S. The K-2 visa filing process has very specific steps that must be exactly followed. Learn more about the filing process and eligibility requirements for K-2 visas, here: K-2 Visas. Once the K-1 visa is issued, the K-1 visa holder must enter the U.S. within six months. A K-1 visa holder cannot adjust their legal status until they are legally married to the U.S. citizen, who originally filed the petition. A K-1 visa holder who decides not to marry the original U.S. citizen, and wishes to marry a different U.S. citizen, must return to their native country to re-start the application process. If the marriage relationship is unsuccessful, the K-1 visa holder will not be allowed to change their status. The marriage between the petitioning U.S. citizen and the foreign national fiancé must occur within 90 days of the foreign national’s entry to the U.S. Specialized waivers are required in certain situations. This applies to U.S. citizens who have previously applied for two or more K-1 visas and for U.S. citizens who previously received a K-1 visa approval two years prior to filing for a new K-1 visa. K-2 visa holders may only remain in the U.S. for up to 90 days under K-2 status. Any individual with a previous U.S. immigration law violation will not be permitted to enter the U.S.
To qualify for a K-2 visa, the individual must be unmarried and under 21 at the time of entry to the US. Anyone intending to apply for a K-1 or K-2 visa should be aware of the complex requirements and filing guidelines involved. Keep in mind that the K-1 and K-2 application process is best managed by an experienced immigration lawyer. The immigration attorneys at KPPB Law are able to provide complete assistance in filing for a K-1, K-2 or K-3 visa. Our competent fiancé and K visa lawyers will ensure your application process goes as smoothly and trouble-free as possible. In addition to helping you avoid potential administrative errors.